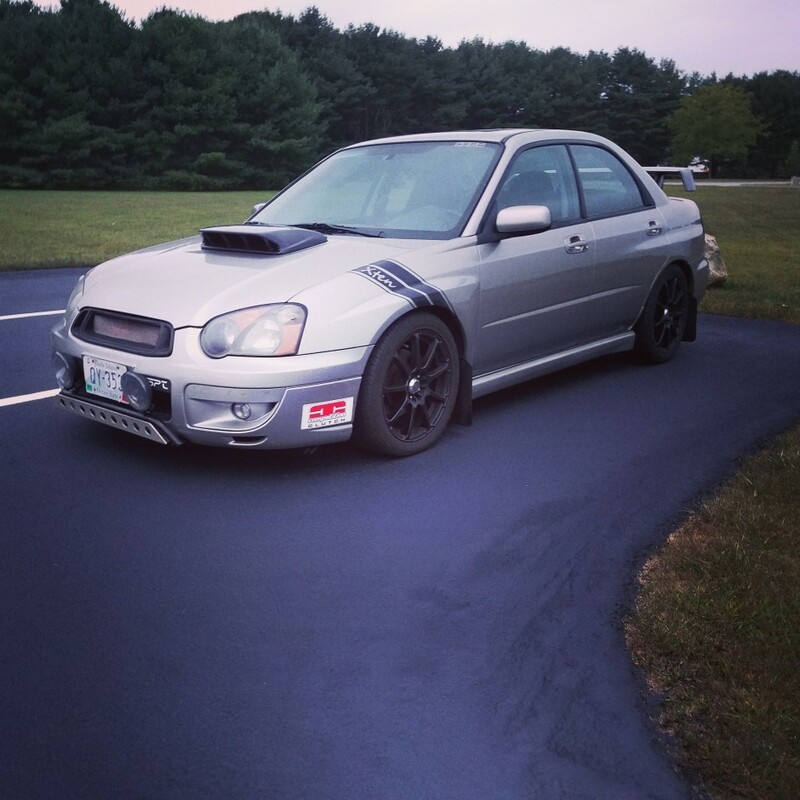 Silver 2005 WRX 5 mt. 325 hp. VF23 turbo, STi I/C, Forge atmospheric blow off, SPT ram air intake, Cuzco front upper strut bar, STi pink 565cc fuel injectors, Walbro 55 fuel pump, ACT stage 2 clutch kit, Competition ultra light flywheel, Grimmspeed electronic boost control, Apexi open bellmouth downpipe, Invidia N1 catback . SPT short shift kit. Sits on H&R Sport springs with 17" Enkei EDR9 wheels. Rally Innovations light bar/brush guard combo w/ Hella Black magic 500 fogs, Rally Armor aluminum skid plate, Seibon SS carbon fiber spoiler paired with a carbon fiber hood. Custom carbon fiber dash and vent trim.